It's beginning to feel a lot like Christmas... Ok, ok, I know it's only November. And I know that most people don't really want to think about Christmas until Thanksgiving is over. I get it. Really, I do. But I've also come to realize that for me--especially if I plan to make anything for the holidays--I need to start in November. Instead of making me more stressed, it just makes me feel so much more relaxed. So yes, I'm starting to think about Christmas already--what Christmas traditions I want to keep this year, and what new ones I want to add. I try to organize my Christmas "to-do's" into an advent calendar. Each day has something Christmas related to do...or something special that we can do as family together. I think an Advent Calendar is such a fun way to handle a Christmas "bucket" list. 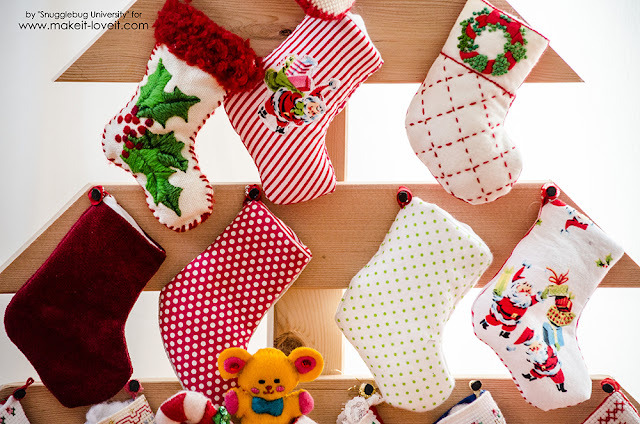 When I was little my grandmother made a different mini stocking for my mother each year, and last year I inherited many of these little stockings! I didn't have enough for a whole advent calendar, so I made a few more basic stockings to bring the total number up to 24. Today I'm over at Make It and Love It sharing a tutorial. This month I'm showing how to make mini stockings and a tree to display them. I hope you love it! 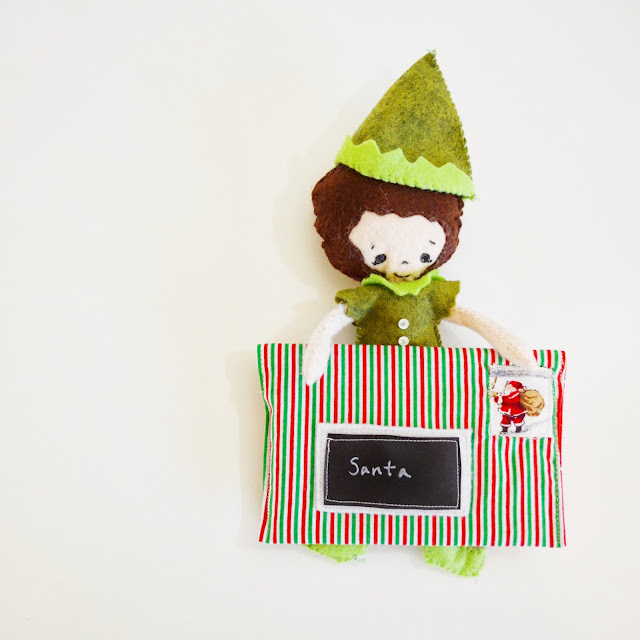 Here on the blog today though I'm starting to think about organizing myself for Christmas. I thought it might be helpful to do a little synopsis of sorts of things I've done in previous years, so if you'd like to adopt them into your house this year you still have plenty of time! Here's my thoughts on gifts. We have "matching gifts" which basically means I try to wrap up a similar gift for each kid to open. Basically it works like this: each kid gets something to read, something to play with, something to wear, and something to make (a craft kit of some sort). That's it. 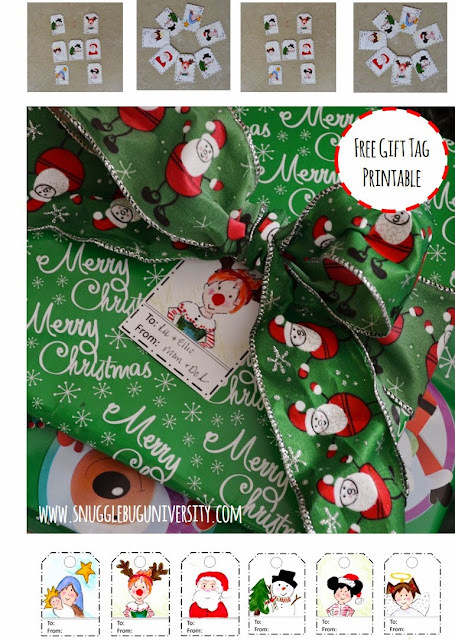 4 gifts at home (plus Santa usually brings them something--often a shared gift...which usually isn't wrapped). Each themed gift is wrapped in matching wrapping paper, so they have to find the matching gifts to open at the same time. I know I read about this "method" years ago, but I can't remember where. We've since adapted it and it works GREAT for our family. Last year my kids inherited their own small fake tree to decorate however they want. Their rule: I don't get to touch it or add any decorations. It's all theirs...and they can make whatever they want for it! They loved this last year and I think we'll do it again this year. Even if the poorly distributed ornaments kind of make my OCD brain go a little bit crazy! 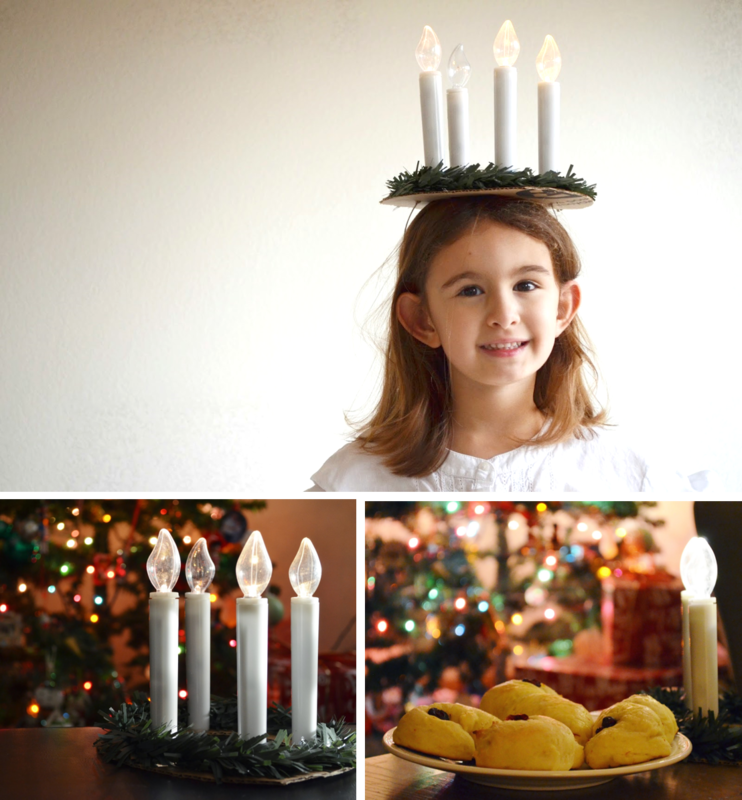 In the past we've celebrated St. Lucia's day, and my kids have been asking to do so again this year. We skipped last year, but I'm hoping we can make it happen this year! I still need to work out Christmas gifts for teachers, and friends. And figure out what crafting ideas I want to do this year... I'm also thinking of making some new gift tags. Do you remember the ones from last year? And what about you? Are you beginning to think about Christmas crafting? Here are a few things we've done in the past. 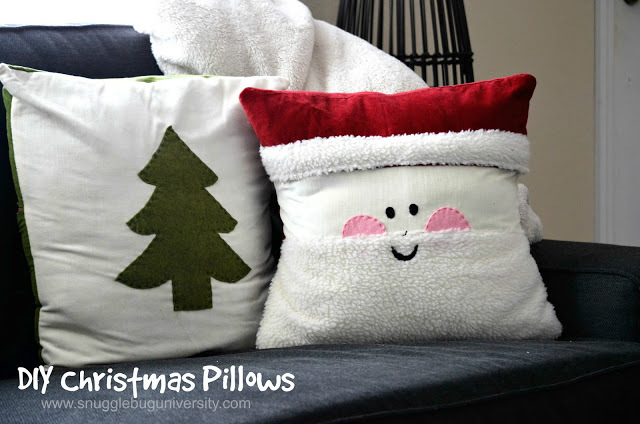 These pillows....which I seriously want to keep out all year long because I love them so much. I hope you all have a great week! I hope you liked hearing a bit about our Christmas traditions. I'll be back here soon! I love reading about other people's Christmas traditions. 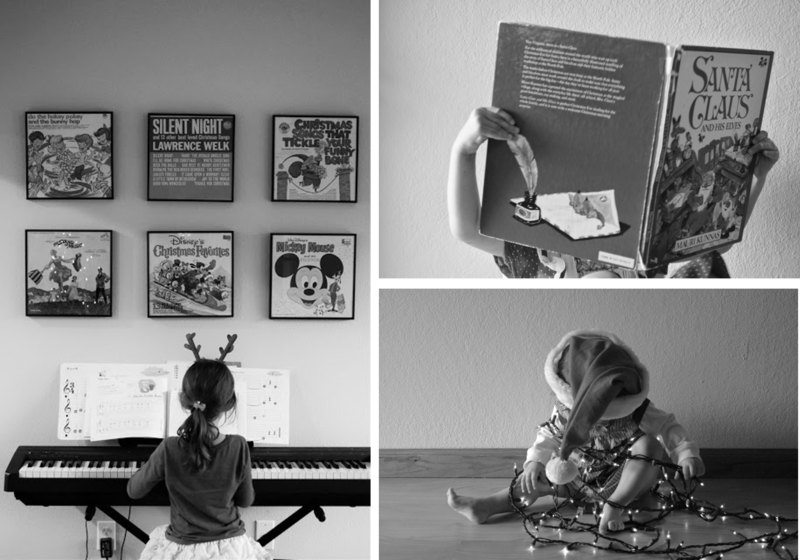 I like the idea of your kids having their own tree to decorate, that must be so fun for them.